In preparing for the Synod for young people that is currently underway in Rome, the Holy Father offered the challenge: “Be protagonists! 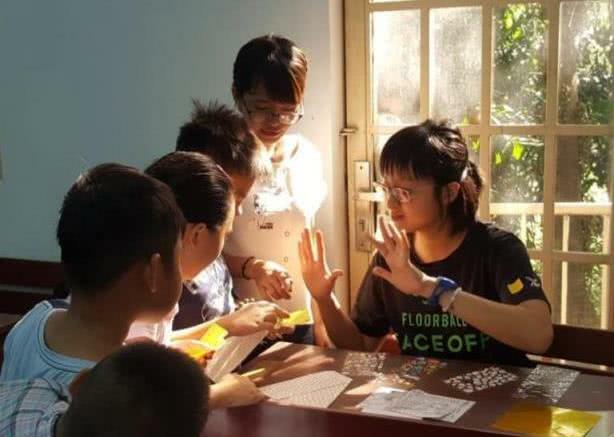 Build a better world, a world of justice, love, peace, fraternity, solidarity.” This article recounts how a group of 10 young women took that challenge to heart in June 2018 with their outreach project in Vietnam. A poster with a list of maxims on a sunny wall catches my eye. One of them especially stands out: “Sowing open-heartedness, you will reap friendship.” This, I think, best sums up our recent trip to Vietnam during the school vacation in June 2018. 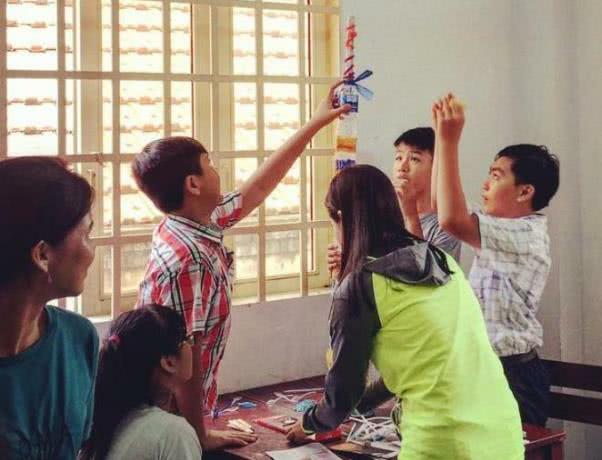 Since 2012, groups of volunteers from Singapore have done outreach projects in Vietnam. 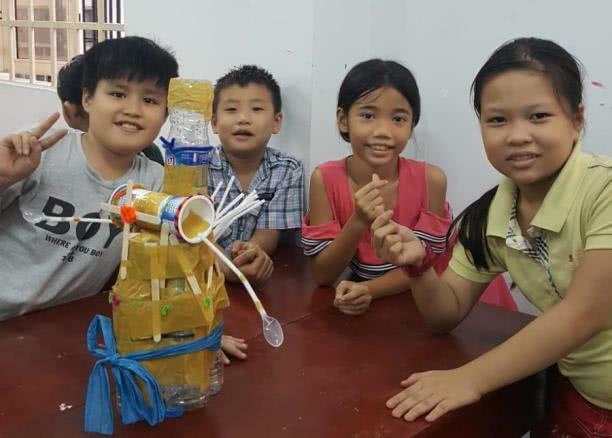 For nine days in June this year, I was part of a group of ten university students and young professionals who ran a summer camp for the children of St Paul’s Parish in Ho Chi Minh City. We offered English, Life Skills, Art and Catechism lessons for children aged 6 to 18. 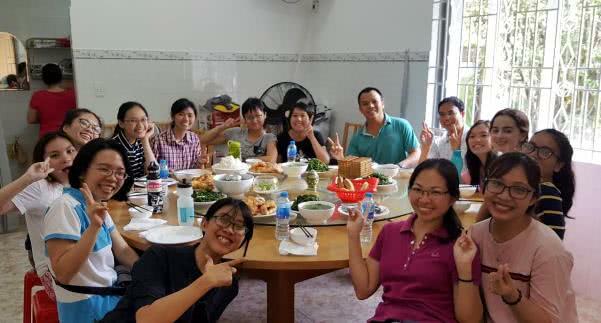 Through the help of some Vietnamese friends, we were supported by a team of Vietnamese university students volunteering with translation. Before the project, Bernie, Mei and I had worked hard to prepare our classes on Life Skills, adjusting it to age groups so that it would be relevant for the children. For the older ones, we designed a career guidance program and planned to carry out mock interviews. Parts of our plans went smoothly, but there were interesting and unexpected hitches. Some of the games became a bit chaotic when a group of four-year-olds gatecrashed our camp! Their little eager faces made it hard to exclude them, so that meant a little creativity and agility. We took turns to slip out during lessons to quickly find a new song to sing or to modify the planned activity. Some among us in the group are studying Early Childhood Education, and it was a good chance to put theory into practice. We were also struck by how eager and determined the children were to advance in their English; many had come because of the English classes. They realize that it will open doors for them to make a better life for themselves and their families, and to contribute to society. Their love for their country and hope for its future were patent and edifying. 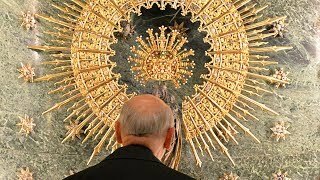 Our intense schedule included daily Mass at the parish church. Praying together as a group, asking for grace and strength, helped us to serve as our Lord wanted us to serve. Some days were more tiring than others, but everyone took to the task in good spirit, with responsibility and a desire to give our best. The kids were so appreciative of every little thing we did for them; that made it very special. The unstinting dedication of the Vietnamese volunteers was additional inspiration. Unlike many students back home, they were not self-focused on their own studies or on video games; many held part-time jobs tutoring younger kids, and were also active in a variety of activities like choir and charity work. One of them, June, after a full day’s work wanted to come and help out; another came despite having exams at the end of the week. Their selflessness reminded us that life is more than studies, and that although our main duty as students is to study hard, it is equally important to find time to be with others with a spirit of service. We also met many other generous people in the parish. One lady spent afternoons bending over a low gas stove cooking a cauldron of beef noodle pho for us; a middle-aged gentleman took it upon himself to provide us with dessert every day, which almost made us forget we were in a volunteer work camp! One of the days, we visited an orphanage with 40 children, aged three to 16. There were obviously more children than the care-takers could comfortably manage, and all the kids were clamorous for the extra attention they received that day. Vanessa, like the others, later reflected that it was heart-rending to have to leave them behind. It certainly drove home the point of how much care and attention we have each received from our own families. We continue to pray that our outreach has widened their window of hope and brought a greater sense of confidence in their ability to reach for a better life.